Editor’s note: This is the third installment in a 10-part series previewing issues and legislation likely to dominate the 2019 Montana Legislature, written by students in the University of Montana’s School of Journalism and distributed by UM’s Community News Service. (UM Community News Service) Montana is home to more than 60 one-room schools, the most of any state. One, the single-room Hi-Line elementary school in Galata, relies on Shelby’s police department for protection – but Shelby is 23 miles away. 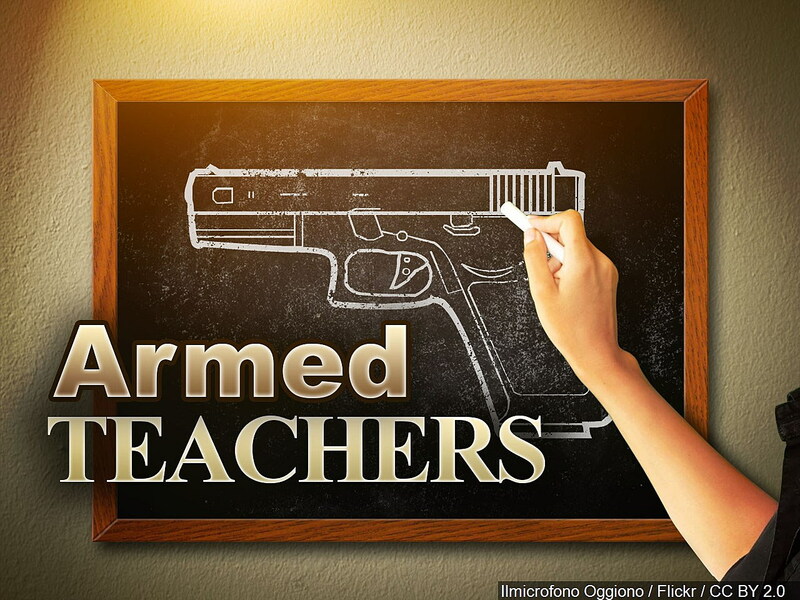 That’s why Rep. Casey Knudsen, R-Malta, said he plans to support legislation this session that would allow school officials to carry concealed firearms. Rep. Seth Berglee, R-Joliet is considering whether to introduce such a bill. His idea would allow specially trained teachers and school administrators to carry and use guns in schools – if they so choose. Berglee, who served as an Army marksmanship instructor for three years, also serves as a reserve police officer. He said his bill would require that interested school officials complete training “equal to or greater than” that received by law enforcement. The key to such training is recognizing legitimate threats, he added. “If it is a legitimate threat, then I think arming school officials has to part of the conversation,” Berglee said. He added that many rural schools have limited budgets and often choose not to hire armed security guards. Berglee said he carried a similar bill that failed in the 2017 session because it had no mechanism detailing how school officials should decide who could carry arms. Some Republicans worried it would diminish local control, he added. 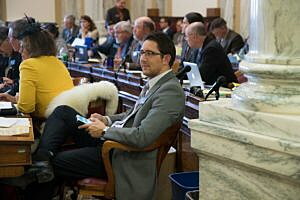 Given the recent history, Rep. Daniel Zolnikov, R-Billings, said he expects that any bill to expand gun rights could make it through the Legislature, but would likely be vetoed by Gov. Steve Bullock, a Democrat who vetoed such bills before. Still, Zolnikov is considering a bill that would allow Montanans to move from one county to another without renewing their concealed weapon permits. Existing law requires that anyone with a concealed-weapon permit notify any new county they move to. Zolnikov said his bill may be benign enough to pass. Both Zolnikov and Knudsen said they expect Bullock to veto bills expanding gun rights. On the other hand, they see the GOP-controlled Legislature rejecting any bill to diminish gun rights. 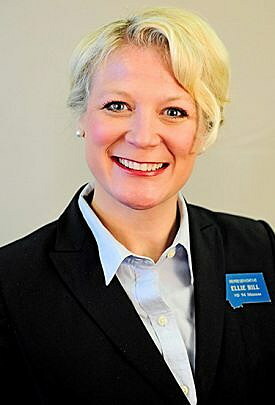 Rep. Ellie Hill, D-Missoula, isn’t convinced. She said she’s noticed a move toward a more bipartisan understanding of revising gun laws as conversations about national mass shootings have developed. Hill expects someone this session will carry her legislation requiring that Montana report individuals who have been adjudicated as mentally ill to The National Instant Criminal Background Check System. Meanwhile, Sen. Sue Malek, D-Missoula, is considering a bill that would allow judges the option of confiscating firearms of people convicted of stalking or domestic violence – if it seems likely that the abuser is an ongoing threat. Some statistics show victims of domestic abuse are five times more likely to be killed by their abuser if the abuser owns a gun, she said. Gary Marbut, president of Montana Shooting Sports Association and a vocal advocate for gun owners, plans to encourage and support legislation that expands gun rights, especially after Bullock completes his final term in 2020. This story was written for the University of Montana’s Community News Service, which features coverage from students at UM’s School of Journalism. Editors with questions about this story may contact reporters Emily Schabacker (emily.schabacker@umconnect.umt.edu) or Eric Lindblad (eric.lindblad@umontana.edu) or supervisor Dennis Swibold (dennis.swibold@umontana.edu).